Hip Injury Pain is aggravated by our age. The entire body weight is supported at the hip which is why it is prone to hip injury pain. 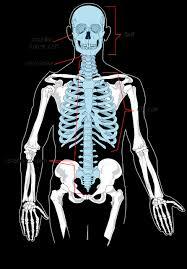 It is one of the largest joints in the body and we tend to place a large amount of weight on our hips. As we get older this can cause pain when we lift heavy objects, or pronate (lean forward slightly) as we climb stairs, vacuum carpets, or play sports such as ten pin bowling. Even the seats in our cars tend to place our hips further back, putting a lot of pressure on our hips and in particular, the sacroiliac joint, along with our shoulders, elbows, hands and knees. All this contributes to wear and tear, and eventually arthritis. I discuss the Hip Arthritis in my previous post. It’s no wonder our knees and hips are getting replaced nowadays. Hip injury pain from bowling is a common complaint. This is caused by the added weight pressure placed on the back and hip area when bowling. Several reasons play a part in causing the discomfort. First, the walking motion in a slightly pronated posture. Second, we are holding and swinging a weight on one side of the body repeatedly over and over again.Third, we are sliding to a stop and then placing a twisting torque on the back and hip. Add the ball weight, as we release the ball and follow through, and you create injury. By doing this, we keep the doctors, physical therapists and chiropractors busy trying to relieve the pain we cause ourselves. One particular muscle in our bodies that can become very painful is the hip flexor muscle. This muscle connects the upper torso with the lower torso and controls all the movement that goes through our hips. Learn more about the hip flexors and how to treat and heal them. When we are younger this is not even hardly noticed as more than just a few sore muscles. But as we age this becomes a much more serious issue.The wear and tear on the body, along with age related changes, reduces the flexibility of our tendons, and cartilage.Also, our bones may not be as strong as we get older. Sometimes, older bowlers may not have nearly the muscle mass they used to have and are weaker and may be using a ball that is too heavy. I have dropped the weight of my bowling ball from a 16lb ball, down to a 14lb ball over the last ten years, and I am glad I did. That alone made a huge difference in my aches and pains from bowling. The amount of time we participate in the sport also helps to increase the problems, whether we bowl one time or bowl in several leagues during the week.More bowling makes us more prone to injury. It creates a lot more wear and tear on our bodies.The only way to decrease the risk of injury, is to warm up before you bowl. From “Famous” Physical Therapists, Bob Schrupp and Brad Heineck, demonstrate three great exercises for a painful hip and arthritis. Stretching helps to warm up our tight cold muscles, and get them loose and ready for the activity we are about to perform. I like to stretch and do a series of warm-up exercises, that take about 20 minutes before I even leave home for the bowling alley. 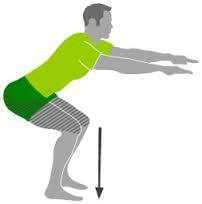 But, when you have a sore hip, as you can see in the video above,you need certain exercises hip injuries require. This may take a couple of hours for you to properly prepare to put a sore hip or even a sore knee through a couple hours of bo wling. I have found that my range of motion is much better when I warm up first, and I feel less pain, and move much more freely. Weight training is great for adding strength to our arms and legs. It helps to offset some of the problems of getting older, and keep the muscles used in bowling stronger. In order to find out what exactly might be causing your pain you need to speak to your local pro shop and have them check your ball fitting. Over the years your hands may have changed and poorly fitting balls can cause you to be off balance and contributing to your problems. A poor ten pin bowling technique, is another sure way to cause yourself painful problems. Or, possibly you might have grip problems that are affecting your game. Have someone watch you bowl and see if any movements you may be doing, or poor bowling technique could be contributing to your problems. If you do have a hip injury and pain or back pain, see your doctor and have an X-ray or MRI to determine what exactly is the cause of your pain. In some cases it could be arthritis, and some treatments may be necessary to relieve your pain. Painful joints are not much fun, and a few injections from the doctor can bring wonderful relief. I have had a few injections in my arthritic sacroiliac joint, and they do wonders for me. I think they help to allow us to continue to enjoy what we like to do, in spite of our bodies wearing out. Exercises to reduce hip pain can help you to recover sooner and ease the discomfort. I like to take a warm bath in Epsom salts when I am feeling sore. It feels good and it loosens and softens the muscles before exercising and stretching. I have also said I wear a back brace while I bowl to help protect my back and hip. I have a list of exercises I perform to keep my legs and arms stronger to help protect the joints in the elbow and shoulder as well, as my legs, knees and hip. As I said,my routine takes about 20 minutes before I go bowling.I tend to do better because I feel warmed up when I get to the bowling alley. In doing this I firmly believe that I helped keep my hip joint in good shape. I also walk for 30 minutes in the mornings, 5 times a week, to aid in keeping my sacrum joint loose and less painful. Not to mention, help keep my hip joints and knees lubricated. In bowling as any other type of sport, keeping fit and maintaining ideal body tone and weight makes all the difference in enjoying the sport and scoring higher as well. Be sure to find some exercises you like to do that make it possible for you to find your routine for stretching and staying fit, and you game will improve. If you have any questions or want more information, please leave a comment below and tell me what your want to see me research for you. Sore hips? Relief is finally here, take a look! A very thoughtful and informative article it is indeed! weekend I felt a sort of unusual sore on my lower back and hip joint on the right side so I put on my back braces and went to bowl on Monday 11/26 to feel such a noticeable pain on my right side hip and lower back. As a very healthy and stubborn 80 years old, completed three games, 125,136, and 161 in the third game! in the past. It did not go away. My primary doctor referred to physical therapy and while through 5 sessions, feeling much better I still find the sore pain right side at the upper hip joint following the therapist’s instruction at home. Question: do I need to ask my primary doctor to refer me to an orthopedic specialist? My Goodness!! You are 80yrs old,and wonderful to see you are that active! I would say you over did it! I like hot baths and soaking in epsom salts when I do that! 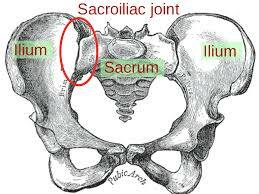 I was told by an orthopedic surgeon, that my hip pain was coming from the sacroiliac joint. That is the bone you feel at your waist in the back. I have had x-rays showing arthritis in the iliac crest( that little dimple in the top upper hip bone close to your back). I have had to get pain injections for the arthritis. I need one every other year or so, they are instant pain relief! So, yes I strongly recommend seeing an orthopedic specialist and find out exactly what is going on, then you will be given treatment options!. Good Luck! 80 yo – haven’t bowled since 1986 – bowled last week – and replaced right knee was fine but groin/thigh/shin areas are not. I used a 10 lb house ball and knew to take it easy – walk slower and not bend or slide. I’m a left-handed bowler. A few hours later, my left arm was sore (to be expected) but had difficulty walking – right leg. 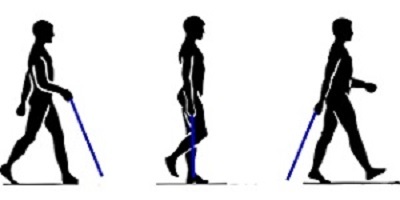 Groin/thigh/shin areas still ache when walking and a bit while sitting. I should have known to do warm-up exercises. The last time I bowled was in 1986. It’s great to hear anyone at that age is able to do things like bowling! it is good exercise, but you may want to get into a walking routine to get those muscles in shape. Especially when you haven’t bowled in over 30 years! Stretching is a must as we get older, I always do an exercise and stretching routine before i bowl. It takes about 30 minutes, but I need to do it, otherwise it takes awhile to get loosened up. You should read about Brad Walker’s stretching program, I can’t say enough about it. I avoided rotator cuff surgery using his program, and it helped to get me into a regular fitness routine. Even if you don’t buy his product, he has a lot of useful articles on stretching. Thanks for leaving a comment, and I wish you all the best in you bowling! I am suffering from a Bowling “Injury” and trying to get the pain resolved. After Bowling in a Tournament my left Gluteus Maximus near the Groin, I can feel a Tendon that is extremely tight. The pain goes the entire Length of my left leg affecting the Calve and Thigh. It feels ok when walking but after sitting for long periods of time it is difficult to stand and feels like my left knee wants to give out. I have tried Ibuprofen and other pain killers without any help, sports creams and taking vitamins. I am a avid skier and Hiker. I literally feels like there is a tendon that runs the entire length of my left leg to my ankle, being the discomfort and pain travels the entire length. Can anyone assist in resolving this??? I am not a doctor, so I am just making a suggestion. It sounds like a possible hamstring injury. You need to talk to a sports injury specialist. Thanks for stopping by, I wish I could be of more help. I have to say, this article is very well-written…despite me not being remotely close to the age of sore hips and joints, I found myself continuing to read it. My mother, unfortunately, has a disease called “relapsing polychondritis”, which is an auto-immune disease. Don’t worry, it’s not fatal…it just means her body, unless treated with certain medications, eats away at her own cartilage. This causes bones to rub against each other with no padding, which has resulted in her development of Rheumatoid Arthritis (not sure if spelled right) at age 39. I actually bookmarked this page because exercises like this may be useful later on when her disease begins to worsen. Thanks for the informative article, and keep up the good work! Thanks for the compliment.It is not fun dealing with problems as we get older and problems caused by disease.Arthritis is a nasty crippling disease that robs people of the normal activities of living.More and more research is helping with medications and better treatments and making it possible for people to do things that were next to impossible a few years ago. I hope your mother finds the exercises beneficial, and they give her pain relief and flexibility. Thanks for taking the time to leave a comment, and if you have any other questions feel free to ask.